Doug Bloodworth limited edition giclée on canvas:"Suckers"
About the Art:You are probably a fan of lollipops. Even after a year, you will still notice new things in the painting whenever you look at it. Every wrapper is a little different. Every wrapper is a different color, reflecting the light that shines on it differently from the next one. 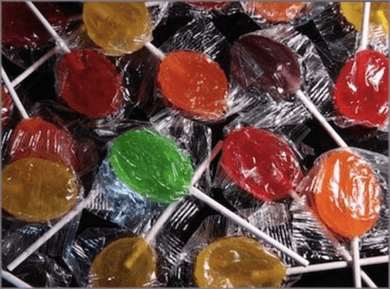 Every wrapper is a slightly different shape, just as every lollipop has different bends and folds in it.